"For the first time since 2014, the school department is allowing students to travel abroad. The School Committee granted permission Tuesday for Franklin High School to pursue its planning for a trip to Europe. High School history teacher Michael Walsh said the trip will be 10 heavy-hitting days, visiting places such as Berlin, Prague, Krakow and Budapest, and making stops at historic locations like Auschwitz. "U.S. Senate candidate Shiva Ayyadurai is neither a Democrat nor a Republican. And that’s what teacher Michael Walsh had in mind when he invited him to speak to his AP government politics students. Ayyadurai, an Indian-born scientist and entrepreneur who is running as an independent against incumbent Democrat Elizabeth Warren and Republican Geoff Diehl, made a stop at Franklin High School on Tuesday afternoon, speaking to two Advanced Placement senior classes about his stance on today’s politics and how young voters should approach the next election. 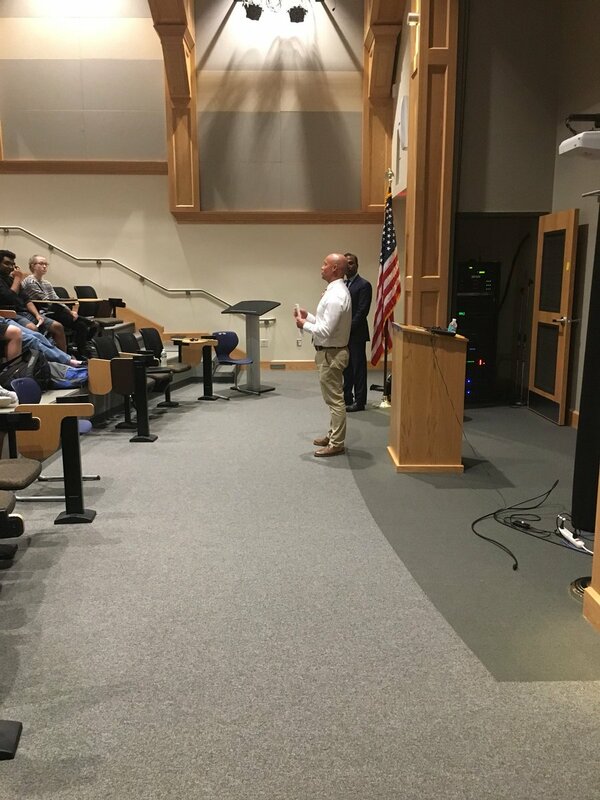 Walsh said the importance of bringing an independent candidate on campus to express his views is paramount to his coursework, and to understanding more than just the Republican and Democratic perspectives in the political world."